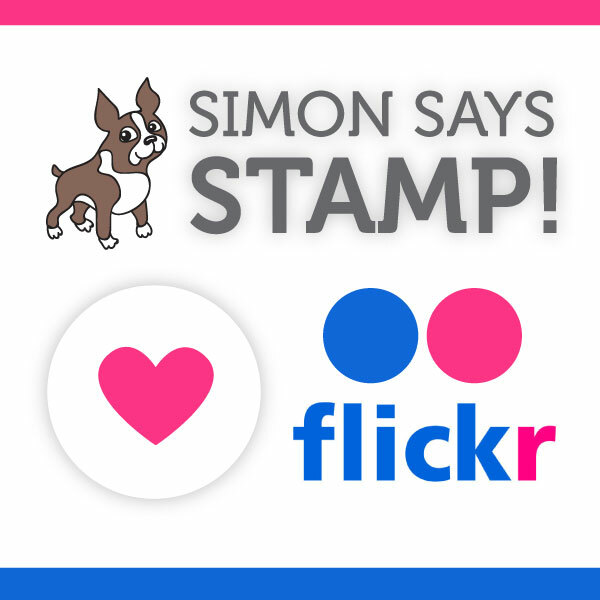 World Cardmaking Day 2012 – OWH Bloghop! Welcome to the 2012 World Cardmaking Day blog hop at Operation Write Home Stars and Stamps! We are sharing Winter and Winter holiday cards featuring an OWH sketch at every stop. Please leave a comment for a chance to win this paper pad. Thanks for visiting today and enjoy the hop! Click on the blog hop image below to get back to the master list o’ links for the blog hop. This entry was posted on Friday, October 5th, 2012 at 11:49 pm	and tagged with bloghop, cardmaking and posted in Christmas, OWH. You can follow any responses to this entry through the RSS 2.0 feed. What a pretty card, thanks for sharing! Happy hoppin’! Gorgeous card – the colors are perfect for Christmas, and really set off the focal image. Yvonne, this terrific vintage Santa image and the papers give this a really nice retro feel. This sketch was a challenge for me but seeing your card makes me think I need to revisit it again. Thanks for hopping with us today! The layout is perfect to support this image! Soo pretty! Love the banners and the vintage Santa. Love the christmas card because of the soft red/green colors. So vintage! Thank you for a chance to win these fabulous Bo Bunny papers! Love the vintage Santa will be looking at my stuff now. TFS and the chance to win, I love the 6×6 pad. Now how many cards can I make 20? Beautiful card! I love that vintage Santa!! Beautiful card!! LOVE the santa image!! Wish I had seen this first! I did something similar yesterday with old fashioned Christmas images. I like mine, but I like what you did better! The “ribbon” paper cut makes all the difference. Love the vintage card. Thanks for a chance to win the dot paper. Oh so lovely in all of its vintage-ness ! I especially like how you trimmed the hat edge poking over the edge of the rectangle image. Old World Santa!! I love this!! Such beautiful paper and and layout….awesome card! Love your vintage santa – delicious card! I like the vintage look of your card. The Santa image is perfect for the card. Great Papers. Pretty card. Papers go so well with each other. Thanks for participating in the Hop and supporting OWH! Love the vintage look here, and appreciate the ingredient list! I just love the old time santas, and the vi tage paper you used. I love the vintage look. I think I will try to play with my vintage paper, hope it looks as good as yours. Thanks for the chance to win blog candy but most of all thanks for helping OWH. What a great way to end another wonderful OWH hop. I love the vintage look of your card. Thanks for sharing your inspiration and your prizes with us today. Pretty background paper and love the vintage image. Beautiful vintage card. Love the Santa and the background papers. The dot paper makes a great banner. Great us of the sketch! I love the traditional colors and vintage Santa! I love dots, too! They are just perfect for everything!!! Thanks for sharing and for supporting OWH! Great card! Love the pretty paper and the vintage santa! I love the vintage look of this! You may be last on the hop but certainly not the least! This is a beautiful card! 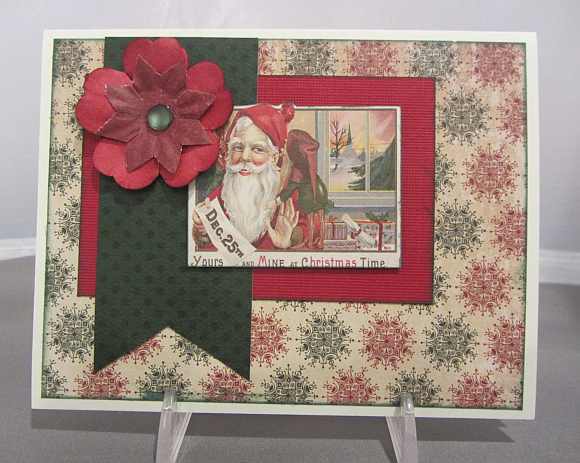 Love the vintage santa with that gorgeous snowflake paper and just enough red and green to make it all stand out! Wonderful! Beautiful card love the colors and paper you used ! Beautiful vintage Santa and card! And the snowflake paper is beautiful. I love dots too! Thanks for the chance to win!! Gorgeous vintage Christmas card. I love the addition of the two-layer flower. Wonderful vintage card–I like the papers and the sketch you used. Love polka dots–thanks for the chance. I LOVE the vintage look of your pretty card!! TFS and for the crack at some wonderful candy!!! Love the vintage Santa! Beautiful card! Love your card! 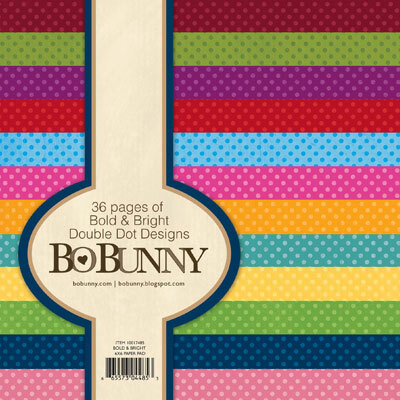 Great vintage look, and Bo Bunny double dots is always a cool paper to use! This is a beautiful card! I love the vintage look. I love vintage styles and yours in gorgeous!! Your papers are awesome and the flower adds a lot! Love the vintage look! Your papers are awesome! I like how you layered your flowers! thanks so much for offering a giveaway too. So clever to use pattern paper for your focal image! Love that!! I love the vintage, old world look to this card. Did you trim the smaller flower to make it look more like a poinsettia or did you actually find flowers like that? Very cool either way! Great card…love all the layers, papers, and image! tfs!!! I love the vintage feel of your card – great idea to use an image from the paper! Your card is beautiful. The papers you used are great. Very vintage and so warm and lovely! Such a wonderful vintage card.